The holidays are in full swing, and RVA is in the spirit! There’s so much to do in Richmond during the holiday season that it can be hard to know where to start. Here are just a few of our favorites – we’re always on the lookout for holiday fun, so if there’s anything we’ve missed, share them with us in the comments! The Maymont Mansion is stunning year round, but there’s nothing quite like its holiday style. Pick a nice day to visit and take a walk through the gardens after you see the mansion’s amazing Gilded Age decor. Want to check out the best decorations in town but aren’t quite sure where to start? Not feeling up to navigating the Fan’s narrow streets? This 90 minute tour takes you though all the brightest, glitziest streets in RVA, including Carytown and downtown Richmond, for a stress-free holiday treat. An RVA fave for years, this is an absolute must-do! Enjoy nightly family activities, like caroling and crafts, then sip on hot chocolate while you take in one of the most magical holiday sights our city has to offer. The event runs through early January, and will be open to dogs during GardenFest for Fidos on January 3! Looking for the perfect place to have holiday cocktails? During the month of December, The Jasper joins almost 100 bars nationwide in transforming into a holiday pop-up featuring themed drinks and festive decorations. Nothing says old Richmond glamour quite like the Jefferson, and that’s never more true than it is during the holiday season. 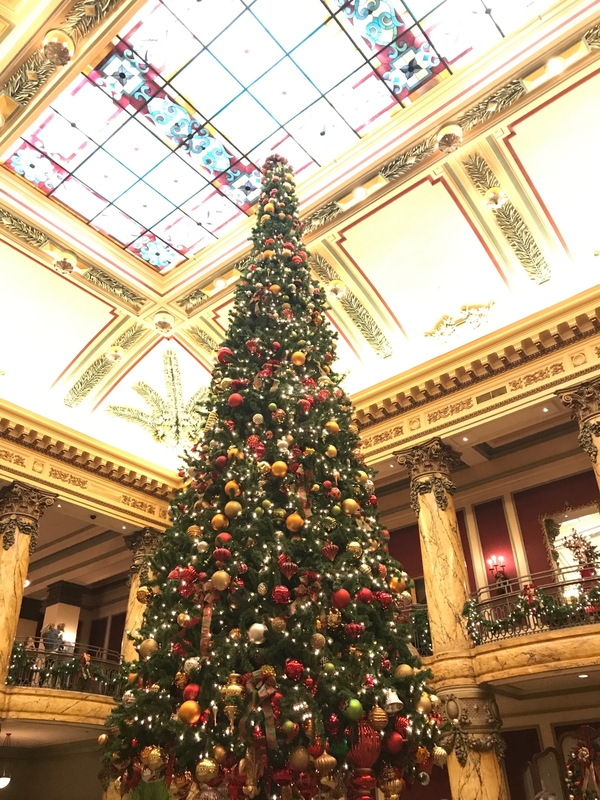 Stop by on your lunch break for midday music, have a snack at the Rotunda bar while you gaze at the incredible decorations, or have a fancy date night (or girls night!) at Lemaire. It’s just not the holidays without the Dance of the Sugar Plum Fairy. Make it a festive night out, or see a matinee for a little bit of daytime cheer! Gingerbread Stout has become an RVA holiday mainstay since it burst onto the scene, and might well be what our beloved Hardywood is best known for. Visit their Scott’s Addition brewery to have a pint or fill up a growler of your favorite variety (we love regular old GBS, but Christmas Pancakes is amazing), or pick up a couple of bottles at your favorite store for a cozy, uniquely Richmond day in. Carytown’s historic Byrd Theatre does December right, showing your favorite holiday movies on their big screen all month. Head out on Christmas Eve to watch It’s A Wonderful Life (along with the Byrd’s famous Mighty Wurlitzer organ). If you have kids or family members with autism or sensory processing disorders, the Byrd will be offering a sensory friendly screening of The Polar Express on Saturday, December 15. Bring the whole family to Leesburg, located just a few miles west of DC, for a season-long holiday extravaganza at the Lansdowne Resort and Spa. There’s something to do for everyone, including crafts, a petting zoo, and wine tours. Colonial Williamsburg doesn’t mess around when it comes to the holidays. Grab a hot cup of cider and a ginger cake to nosh on while you stroll down Duke of Gloucester Street looking at the gorgeously decorated homes. Afterward, get some holiday shopping done at Merchants Square! Norfolk Botanical Gardens’ annual Garden of Lights display is well worth the trip down 64! Voted one of the best light shows in the country, the lights sync up with a local radio station’s holiday music playlist, so be sure to tune in for the full experience. While you’re in town, support local small businesses at the Selden Holiday Market. During the holiday season, Monticello offers special nighttime tours of Thomas Jefferson’s historic Charlottesville home. All the decorations are authentic to Jefferson’s time, holiday treats will be available, and you can even enjoy some live music!